In today’s increasingly complex global landscape, companies that properly value effective learning and development (L&D) strategies are better prepared to face the challenges of tomorrow. The Learning and Development Leadership International Masterclass was designed by IE and Nyenrode Business Universiteit to drive and inspire L&D leaders through an intensive blended learning journey. 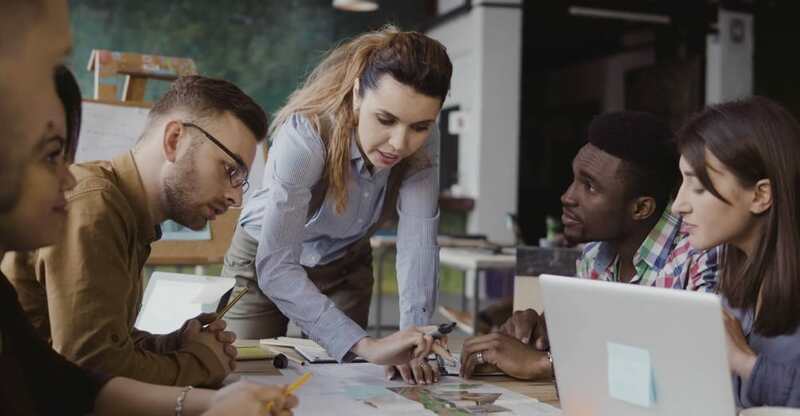 By enhancing employee capabilities, and encouraging a culture of continuous education, organizations can foster agile mindsets that create an advantage over the competition. The 2019 program, which is scheduled to begin in May, is now complete and is no longer accepting participants. For those L&D leaders wishing to update their skills and inspire change, the February 2020 program is open for registration. IE firmly believes in the value of innovation. With the Learning and Development Leadership International Masterclass, this world-class institution is providing a space for seasoned, like-minded professionals to explore next steps within their company. “This program provides you with a deep journey inside yourself, while expanding your understanding of the L&D world out there,” says Costanza Citrini, Senior Learning Leader, McKinsey & Co Italy. The day-to-day program life is built around providing innovative classroom experiences that encourage discovery through digital learning, on-the-job assignments, as well as one-to-one collaborative coaching sessions. This international masterclass is led by industry giants, Nick Van Dam and Jan Rijken. With over 30 years’ experience in business environments, Nick Van Dam has been Chief Learning Officer, HR Executive and Client Advisor at McKinsey & Company, Deloitte and Siemens. He will be joined by Jan Rijken, former Chief Learning officer for KPMG, ABNAMRO and Mercedes-Benz, and a recognized thought leader in the international Learning & Talent community. Together, they will lead small groups of up to 30 L&D professionals to engage with new mindsets of growth and development by looking at business trends and lifelong learning strategies that help employees improve their talent and, in turn, their business performance. The International Masterclass Learning and Development Leadership is a transformational, 6-month experience that empowers senior decision-makers to develop the talent on their teams. While broadening their international network, they learn how to become inspirational leaders that drive growth and lifelong learning. The program combines in-person study periods at IE’s campus in Segovia, Spain and Nyenrode Business Universiteit in Breukelen, Netherlands with the best of online education. If you’d like to take part in an engaging, inspirational experience that will impact the wellbeing and performance of your organization, discover more here.